As first time buyers we were apprehensive about how the process would work and whether we would be satisfied with our purchase after parting with so much money. However Deptford Foundry and Anthology have been amazing all round. We couldn’t be happier with the top quality home that we’ve purchased for a comparatively reasonable price. And throughout the whole process Anthology were unbelievably helpful – providing all the information we needed, helping us along the way and generally showing that they genuinely care about the experience that their residents have living in the development long term. Couldn’t be happier. Fitting into the much used “up and coming” category, Deptford is a fantastic area that despite being so centrally located is still a bit of a secret spot. A nice community bustle, plenty of places to eat and drink, the rest of South London at your fingertips, and very easy to get into town. The commuter train from Deptford can be too busy in the mornings but they are adding another service at the end of the year and besides New Cross + other options are very close by. Thank you so much for your lovely feedback. We’re delighted that you and Amy chose Deptford Foundry to purchase your first home. It is a daunting process and requires serious financial commitment so it is great to hear you’re pleased with the outcome :). Thanks for sharing your story too! See you soon. I want to congratulate the team at Anthology. I have spoken to numerous friends who found the process of buying and moving into a new property extremely stressful. I, on the other hand, found the start to finish actually enjoyable. I first contacted the generic sales email on 15th June 2018, with absolutely no idea how I would go about buying a property. I had a rough figure in mind but no contacts to confirm this was even possible. A lovely lady Grace responded to all of my frantic questions, sent me a mortgage advisors contact details and scheduled a time for me to visit the show room. She kindly stayed an hour late on a Sunday to initially show me round, then also arranged a suitable time (late one evening) to walk my parents through the development design & marketing suite. With Grace’s help I had reserved a property by the 28th June 2018. Following a discussion around affordability, I ended up switching plots. The communication between Torc24 & Anthology made this so much easier. At this point, the fantastic Grace stepped in and guided me through everything, this should have been stressful and exhausting, but instead, it was far from that. Once everything was all confirmed, I received constant email updates regarding the stage the development was at. I was able to visit the site three times. One of these visits was at a BBQ where I was able to meet other buyers and discuss more details around my soon-to-be home and its current position. I completed on the 13th December 2018. To my excitement, the completion date was early but there was an option to delay if needed. Everything to do with moving in was booked through the app – move in parking, handover demonstrations and key collection. I ended up collecting my keys after a work event, and concierge waited late to hand them over!! Grace is still answering my random questions via email, responding within minutes and generally being such a friendly and accommodating person to work with. All in all – a 10/10 service. A service which I doubt can ever be beaten. Thank you so much Anthology! All I can think would be a list of exact measurements for curtain fittings and to help know whether other furnishings will fit before moving in. Grace sent me these very quickly, but it would have been very useful to get a detailed measurement PDF similar to the floor plan to help work out whether furniture would fit etc. The BBQ was so much fun and it was great for some of our ‘soon to be residents’ to meet each other. 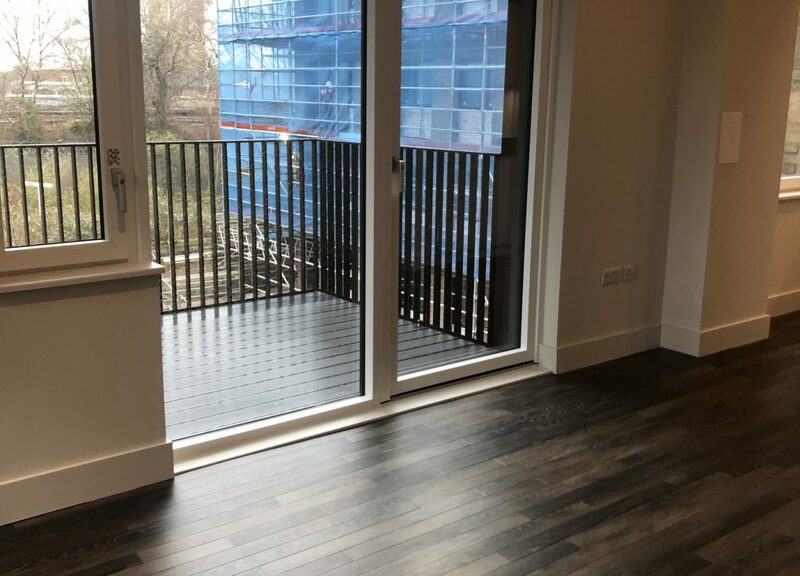 We have realised that it may be useful for people to have more exact measurements before they move in so will be weaving this into our process going forward – thank you for highlighting it! So having bought our first home via the The Help To Buy Scheme, I don’t think we could have done any better! Apparently buying a home can be quite stressful, Anthology alleviated this process entirely – fantastic. 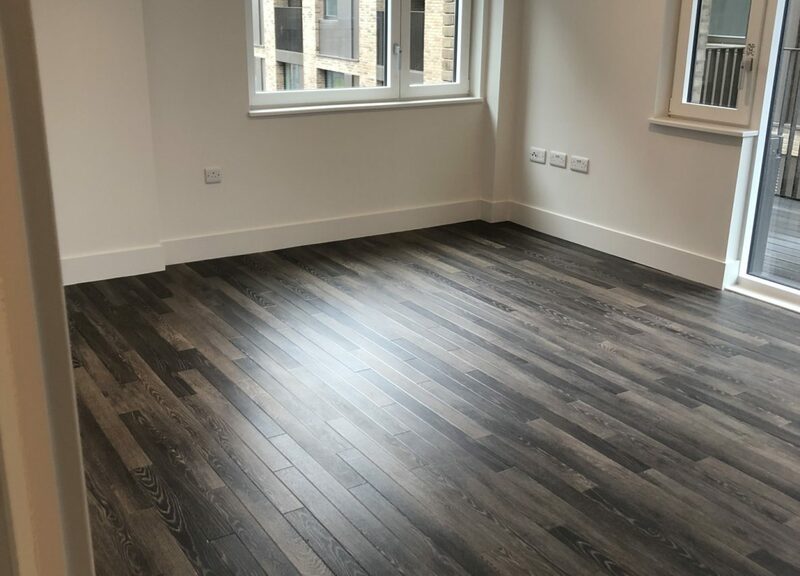 The Apartment itself is delivered to an extremely high standard, both the finish and fixtures. My personal favourites are the Kitchen and Bathroom – super fancy! All in all, very pleased with our purchase. It couldn’t be more well situated, 6-minute walk to New Cross station and further 5-minutes on the train and you’re at London Bridge. We have sourced a great roast dinner nearby also!! In hindsight, had we known there was going to be Stamp Duty relief on the 2/3 Bedroom apartments, we would have likely opted for a 2-Bedroom. We’re glad you’re happy with the quality and finish of your home and we appreciate your positive feedback. 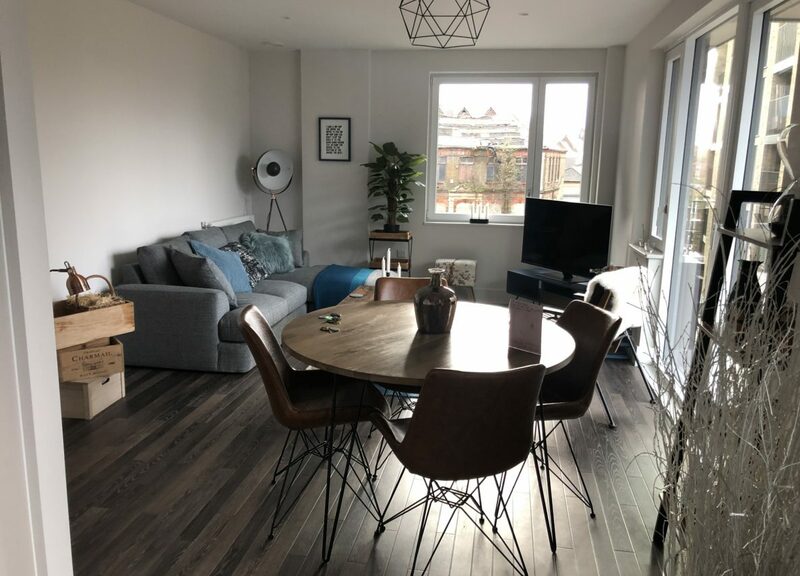 Buying a flat can be a daunting prospect, but Anthology were there to help from start to finish. When looking for a flat to purchase through Help to Buy scheme, I knew it had to be within budget and within cycling distance to work. Little did I know that I would get so much more than that through purchasing with Anthology. The support provided by Georgia and the team was always very timely, friendly and efficient. Being the sole occupier, and never having bought anywhere before, often meant that I didn’t have another person to bounce-off or ask questions to. Therefore feeling less alone throughout the process was a huge weight off my mind, particularly given some difficulties I was having on the Mortgage side of things which Anthology were very understanding about. Living in the building itself has met all hopes and expectations. You can report issues, if there are any, via an online portal and they are very quick to follow up. For example, some window glass had been scratched in the build, and the top of a radiator dented slightly. This was fixed very soon after moving in. In the lead up to moving in, everything was communicated very well, both in terms of the wider development as a whole, but also the spec on the flats and time-lines for getting everyone into their apartments. Lo and behold, Anthology were running a bit ahead of schedule, and I was in the flat before Christmas. Deptford is great for so many reasons. There’s a quiet cycle route that takes you straight to the heart of London in less than 45mins. There are three key stations (New Cross, New Cross Gate, Deptford). The range of food shops on Deptford High Street continues to delight and surprise. As does the market at the weekends. There’s a theatre, many art spaces, two independent cinemas nearby, restaurants and places for a boogie. You’re also walking distance from Greenwich for spending time outdoors in the park there. Thank you so much for your review Lily! You were so proactive in your journey to legal completion, we appreciated the constant hard work. 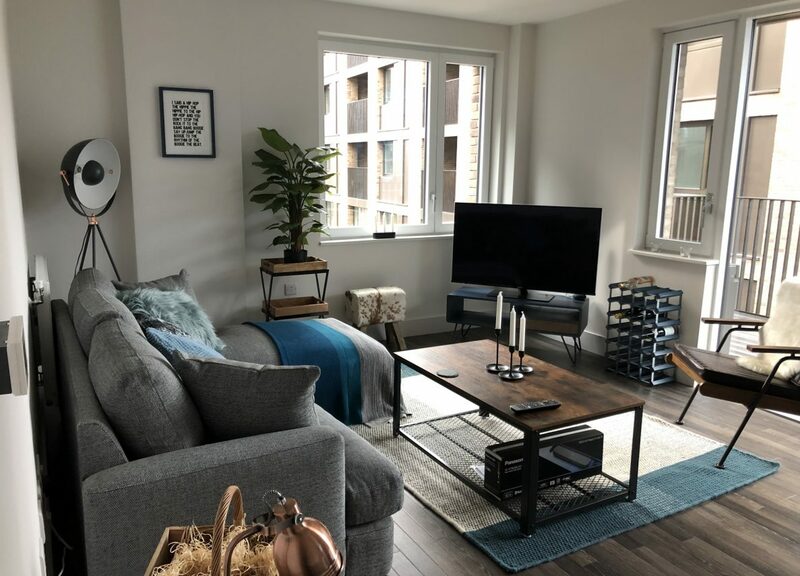 We have recently purchased at Deptford Foundry and are very happy with the flat and the experience we’ve had from the outset. We have found Anthology to have a very strong ethos of how they want to run their company and the experience they want their customers to have. 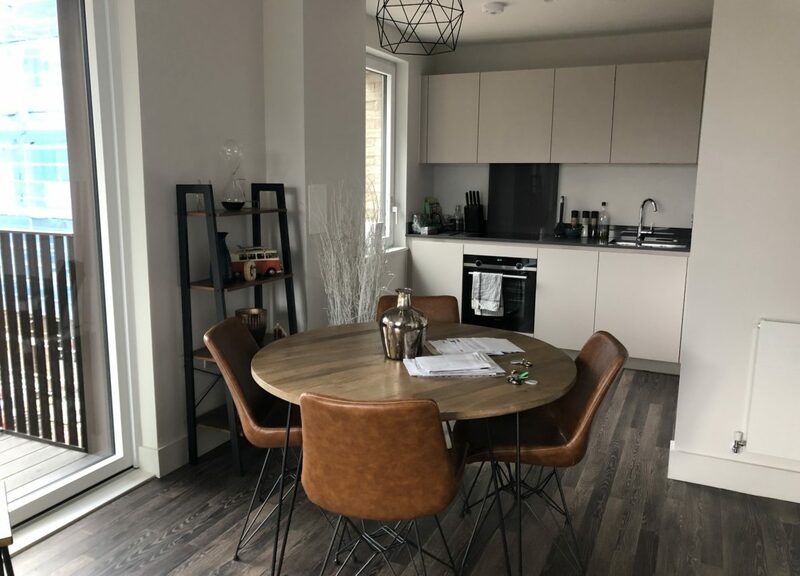 We had an issue with our flat that needed fixing prior to moving in and were really impressed with the transparency and honesty that Anthology showed when dealing with it and the reassurance we got that everything would be perfect before we moved in. The flat itself is beautifully finished to a high spec with great attention to detail. Deptford is a really great part of town with loads of good independent bars, music venues and restaurants. The development is a short walk from the centre of Deptford and has plenty of green space nearby. I’m a first time buyer, having bought a flat with the hep to buy scheme in London. As a result the house-buying process was always going to be fraught and anxiety-ridden for me! Anthology have not only delivered an amazing building but almost more importantly have made the experience as stress-free as it could be. Unlike the many other suppliers involved in the process – brokers, solicitors – they seemed to want me to understand what was going on, and help me feel less at risk. The staff and managers at Anthology have held my hand throughout. When i reserved my flat, i received a letter and a personal phone call from the MD, which was so encouraging. They helped me understand the financial arrangements, even though it isn’t their job to do so. Georgia has been my main point of contact and has been friendly, responsive and efficient with all the many random questions and requests i have sent her way! They have a series of digitally-delivered services for managing everything about the flat, which is great and just what you’d expect from a modern service. These services don’t always work! But as they manage everything with real, accessible people too, this has never become much of a problem. There were a series of issues with my heating on moving in – pretty fundamental in December! This was really disappointing, and it was fortunate I had elsewhere to stay. However – Anthology sprang into action immediately to resolve it, and Georgia communicated with me throughout. They did go the extra mile to try to sort it out, and whilst it was a bad start to the move in they did personally apologised to me. I was satisfied with how it was resolved. The build quality of the flat was above and beyond what i’d seen in dozens of viewings across London. Fitted appliances of a very high grade. No corners have been cut, which you’d be amazed how often you see that in flats priced upward of £430k. There have been snags on moving in, but these have been quickly resolved. PS the concierges are an absolute godsend. and they are lovely, polite, helpful people. Deptford is great – an up and coming area, with its own little ‘scene’. its a bit on the student-y side, but that’s no bad thing. plenty of nice bars and cafes. the saturday market is outstanding. where the flat itself is located is an 8 minute walk to the nearest tube (new cross). it’s close enough to things to do, but still very quiet. can’t barely hear the nearby railway line. transport takes a bit of getting used to, as there’s no direct tube line so its overground, some limited domestic services and buses. Green spaces nearby – hope to enjoy those when the weather is finally nice! This is more of a general tip about moving into an unfurnished home: I wish I knew how much furniture you have to buy to get set up! It’s really hard to feel at home when you have nothing to sit on…and sofas take literal months to arrive! There are a lot of set up costs in buying storage furniture, chairs, tables, stocking the kitchen etc. Also I really wish that i had been able to double check all the appliances. I just didn’t have time when we did the ‘home demonstration’. As i mentioned the heating and hot water situation sucked. And it took me a while to figure out some of the appliances. But that’s a smaller thing. Thank you for your comments. Anthology endeavor to ensure the reservation to completion process is as stress free as possible, and it is heartwarming to hear you felt it was just this. It was incredibility frustrating for all parties that you experienced issues with your heating when you moved in during December. You were extremely understanding through the whole thing and we really appreciated that. With regards to the furniture, maybe we should do a ‘things you might need’ checklist for new homeowners so they realise the extent! We hope you’re enjoying every inch of your new home. From reserving a flat at Deptford Foundry, through to moving in, Anthology have been superb and always professional. They have provided regular updates on the development and information about the local area. Plus, there was a dedicated point of contact who was available to answer queries and arrange viewings. The concierge service is fantastic and the My Anthology online portal is a valuable resource to access information about the development, local area and to submit queries. 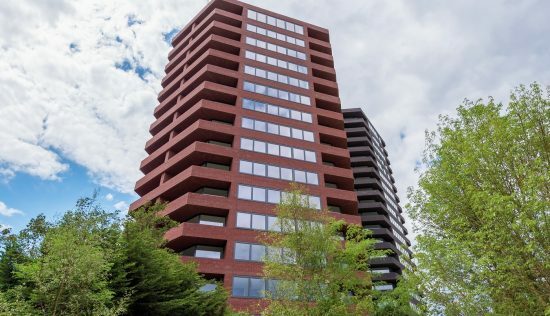 The flat has been finished to a high spec, with plenty of storage and a really spacious balcony! The transport links are fantastic! New Cross and Deptord railway station are a short walk away. There are plenty of independent cafes and shops in the local area, plus all the standard ameneties. Deptford Market Yard is great in the summer, with pop up food stall and live music. Plus, Greenwich is only a short bus ride if you fancy a wander around! Thank you very much for your feedback! We’re delighted that My Anthology is useful and is the ‘go-to’ source for instant information. Deptford Foundry has been lovingly built on the site of an old metal foundry – an innovative design hub in its heyday in the 1800s. This mixed-use development is due for completion in the autumn of 2019, and the architects have paid careful homage to its industrial roots, with exteriors that encompass exposed brick, black wrought-iron and timber. 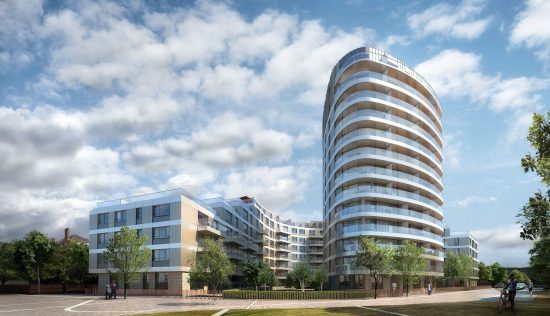 Deptford Foundry will comprise of some 316 homes across a three-acre site, spread among eight mid-rise buildings and a dominating tower. Landscaped gardens and pathways will weave among it all, giving the feel of a neighbourhood in its own right. 80 artists’ studios will also feature in a bid to welcome and nurture local creative talent. 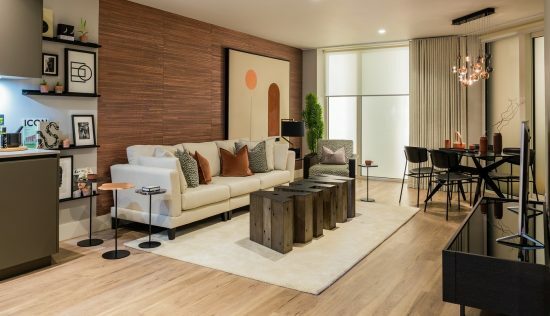 The designers have gone for a chic and modern aesthetic throughout, with walls painted in soft ivory shades, contemporary LED lighting, and a mix of faux-wood and neutral carpet flooring. Kitchens come in off-white and grey tones, with sleek matt lacquer furniture and Siemens mod-cons, while bathrooms are tiled in elegant porcelain. 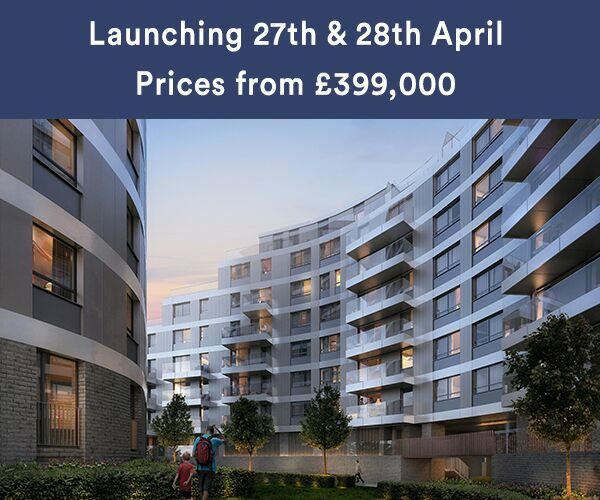 Prospective residents can choose between one, two and three-bedroom apartments, and a balcony, patio, garden or private section of roof terrace is part of the package, depending on the type of home you go for. Lots of storage space also comes as standard. In terms of location, the development is in the heart of artsy, fun-loving Deptford, a south-east pocket of London packed with restaurants, bars and galleries. 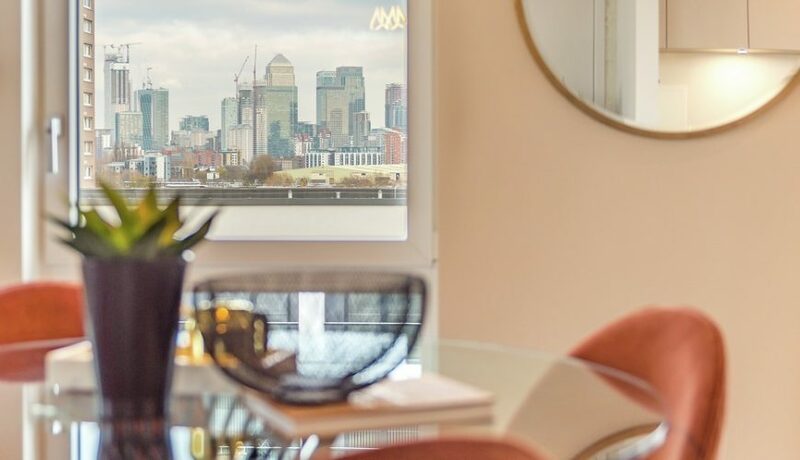 The town is close to historical Greenwich and foodie-haven Bermondsey, and it’s got great transport links for getting further afield. 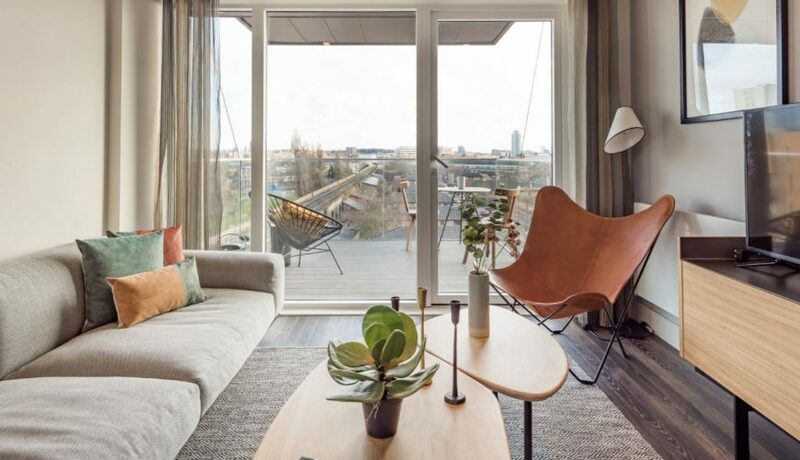 The development is less than a 15-minute walk from both Deptford and New Cross stations, which means speedy connections to the likes of London Bridge, Shoreditch High Street and St Pancras International.